Adobe and Microsoft both issued updates today to fix critical security vulnerabilities in their software. Microsoft actually released an emergency update on Monday just hours ahead of today’s regularly scheduled “Patch Tuesday” (the 2nd Tuesday of each month) to fix a dangerous flaw present in most of Microsoft’s anti-malware technology that’s being called the worst Windows bug in recent memory. 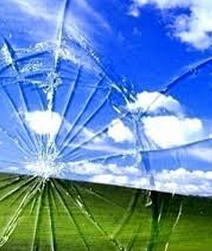 Separately, Adobe has a new version of its Flash Player software available that squashes at least seven nasty bugs. Last week, Google security researchers Natalie Silvanovich and Tavis Ormandy reported to Microsoft a flaw in its Malware Protection Engine, a technology that exists in most of Redmond’s malware protection offerings — including Microsoft Forefront, Microsoft Security Essentials and Windows Defender. Rather than worry about their malicious software making it past Microsoft’s anti-malware technology, attackers could simply exploit this flaw to run their malware automatically once their suspicious file is scanned. On May 8, Microsoft released an out-of-band fix for the problem, demonstrating unusual swiftness in addressing a serious issue with its software. In addition to the anti-malware product update, Microsoft today released fixes for dangerous security flaws in a range of products, from Internet Explorer and Edge to Windows, Microsoft Office, .NET, and of course Adobe Flash Player. The latest Flash Player, v. 25.0.0.171 for Windows, Mac, Linux and Chrome OS, is available from this link. Adobe’s advisory for this update is here. 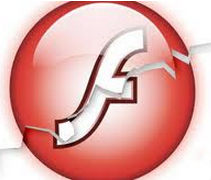 If you have Flash installed, you should update, hobble or remove Flash as soon as possible. To see which version of Flash your browser may have installed, check out this page. An extremely powerful and buggy program that binds itself to the browser, Flash is a favorite target of attackers and malware, and failing to keep up with its continuous security updates can leave users dangerously exposed. For some ideas about how to hobble or do without Flash (as well as slightly less radical solutions) check out A Month Without Adobe Flash Player. If you choose to keep Flash, please update it today. Windows users who browse the Web with anything other than Internet Explorer may need to apply this patch twice, once with IE and again using the alternative browser (Firefox, Opera, e.g.). In A World With Automation, Where Does Human Intelligence Fit In?